Welcome to Cactus Jack's Auto Phoenix where we have the largest selection of used cars, used trucks and SUVs for Sale in Phoenix, regardless of your credit score. If you are a local Phoenix, AZ looking for used cars for sale and you are looking for instant used car financing, then you have come to the right spot. Cactus Jack's Auto in Phoenix, Az has the largest selection of used cars, used trucks and SUV’s for sale in Phoenix, Arizona. 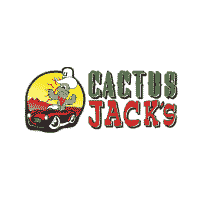 Cactus Jack's Auto in Phoenix, AZ has the largest selection of used cars, used trucks and SUV’s for sale in Phoenix, AZ.